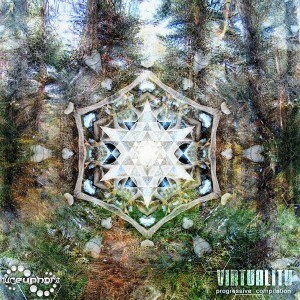 Virtuality from Pureuphoria Records is a fresh collection of progressive psytrance from around the world. Since the 21st century the term “virtuality” has acquired meaning as a condition in which the subject loses the ability to distinguish between the real world and constructed, virtual worlds. Virtuality, then, is a state that does not really exist, but which may occur under certain conditions. It is a state where the subjective imaginary begins to directly affect the world through the individual. This compilation means to challenge the unreal and break into virtual realms of sound. Mastered by Alex Neon at Pureuphoria Studio with artwork by Neomorph GFX. MP3 Download | FLAC Download | WAV Download · Download count: 8,370. Everything on Eektoplazm is good. But this is really good. Brilliant tracks! \o/ Where i can donate you? Great Album ,,,Nice sound feeling n’ Vibe! wow felix this track is amazing bro 140 bpm with melodies good keep it up. Comp of ’14 for me! Great tracks, great production, great job!